Mukta Begum, a woman of 23 from Satkhira, was promised with a job in India by her neighbour. Mukta saw the opportunity as a way to escape a life of poverty. She took up the offer and travelled to India with her neighbour. The job however, was not one she was expecting. She found herself in a large brothel and realised she has been trafficked. 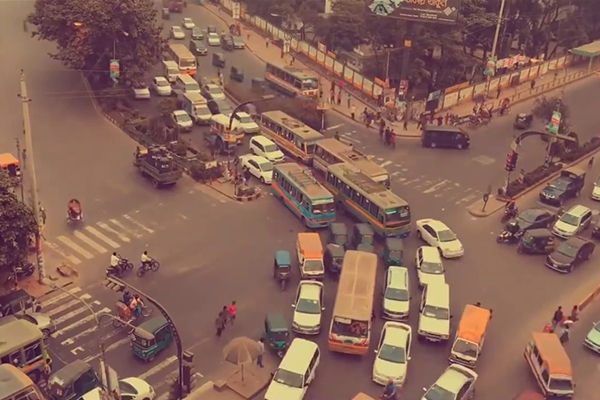 Every year, thousands of men and women in Bangladesh become victims of trafficking. Between 2013 and 2018, 5,716 cases of trafficking were filed, of which only 247 were resolved. In the Trafficking in Persons 2018 report, published by the US Department of State’s Office to Monitor and Combat Trafficking in Persons, Bangladesh has been placed in the ‘Tier 2 Watch List’, which is an indicator for vulnerability. The report suggests that Bangladesh failed to provide evidence of increased efforts to combat trafficking. Although Bangladesh formed the Prevention and Suppression of Human Trafficking Act in 2012, the number of prosecutions and convictions under the act remains extremely low. According to the 2016 Global TIP Report of the UNODC, Bangladesh reported only 10 to 15 convictions per year on an average in such cases, in comparison to 50 to 80 convictions every year in neighbouring country Nepal. 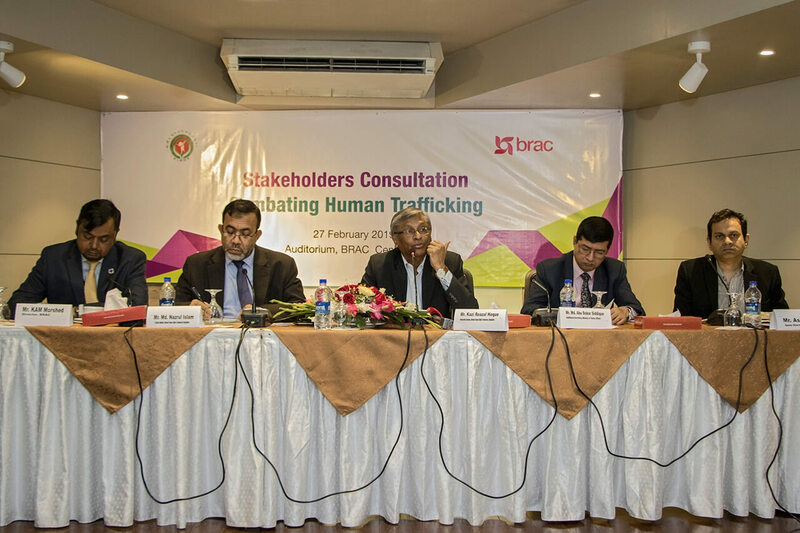 National Human Rights Commission (NHRC), Bangladesh and BRAC recently jointly organised a stakeholders’ consultation on combating human trafficking. 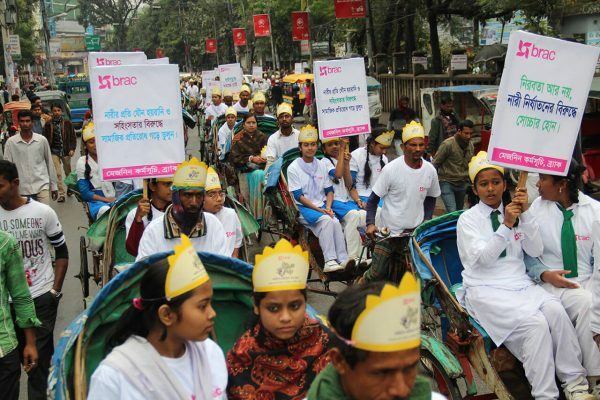 NHRC’s thematic wing for migration and trafficking joined hands with BRAC Advocacy for Social Change to identify existing policy gaps and pursue necessary policy advocacy in this area, while BRAC’s migration programme provides technical support and field expertise. Kazi Reazul Hoque, chairman of NHRC, and the chief guest at the event, urged the government to formulate a special tribunal to fast-track the legal procedure of prosecuting in trafficking cases. In most of the cases, it is only the middle-men or subordinates that are caught. The tribunal, if established, will help to identify the masterminds behind the trafficking rings. Speakers at the stakeholder consultation jointly organised by BRAC and NHRC. Establishing anti-human trafficking tribunal was urged, recognising that it is a legal obligation of the government. In accordance with the PSHT Act 2012, until the anti-trafficking tribunal is established, cases filed under this act are tried by the existing Nari O Shishu Nirjaton Daman Tribunals in each district. However, these tribunals are already overburdened with women and children repression cases, resulting in the unacceptably low rate of prosecution and conviction in trafficking cases. The special tribunal dedicated for trafficking will lead to speedy trials and better protection of victims of trafficking. Experts suggest establishing special tribunal in five districts – Jashore, Satkhira, Rajshahi, Dhaka and Cox’s Bazar. These districts have been identified as most prone to trafficking, based on the number of human trafficking cases filed, precedence of labour migration etc. However, establishing tribunals can take us only so far. Ensuring proper implementation of the PSHT Act 2012, as well as monitoring progress of the NPA for Prevention and Suppression of Human Trafficking 2018-2022 are of fundamental importance. To achieve these objectives, forming a GO-NGO collaboration platform is a pressing need. BRAC and NHRC will continue to work towards eliminating policy gaps regarding human trafficking and keep the agenda on the national spotlight. Iffat Anjum is a policy analyst at BRAC Advocacy for Social Change.